Lawyer fees are an important part of the discussion when choosing a lawyer. The decision to retain a Toronto criminal lawyer is a critical first step if you have just been charged with a criminal offence. When you are charged with a criminal offence, it is you against the resources of the state. That is why it is necessary to hire a Toronto criminal lawyer you can trust will be in your corner – no matter what. Make sure that when you retain a lawyer that you choose a lawyer who focuses exclusively in the area of criminal law. Mr. Luft understands that people rarely plan on getting arrested – and that the unanticipated costs of lawyer fees will often be a burden to an individual or family. That is why Mr. Luft will work with you to set up a payment plan to make sure you are able to pay your legal fees while he defends your case. Your legal fees will depend on what you are charged with with, the complexity of the case and what you hope to achieve. Because each case is different, it is only after we meet that I am be able to quote you a fee. My fees are usually quoted as block fee’s rather than per hour. The benefit of a block fee is that it provides you with certainty about how much your defence cost. It means that you do not have to worry that if you want to meet with me or if you want to call me that it will cost you additional funds. I accept Visa, MasterCard and Interac. 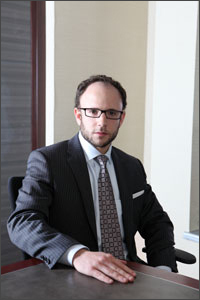 Contact the Law Office of Morrie Luft at 416-433-2402 to set up a free consultation.